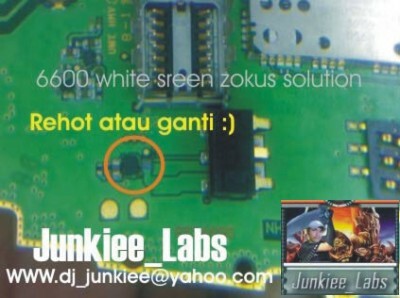 Nokia 6600 display problem can caused by damaged driver. 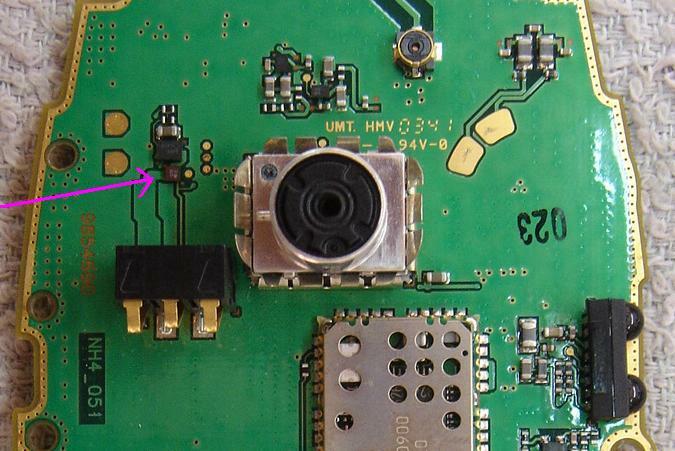 The location of 6600 display driver is near the LCD connector. 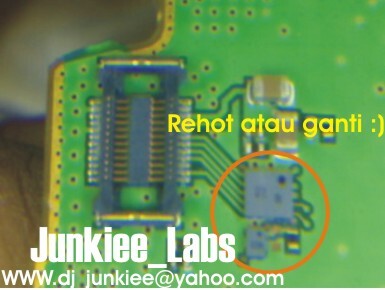 You can replace the driver or just rehot like the picture help below, sometimes it can solve the problem, but if it can not solve your display problem, you can replace with the new one. Another tricks to repair the Nokia 6600 display problem is by making a jumper to the display driver, but it can do if you're a hardware specialist, if you have not enough skill to do that, I don't recommend it to you. You can see the location of display driver in the picture help below.